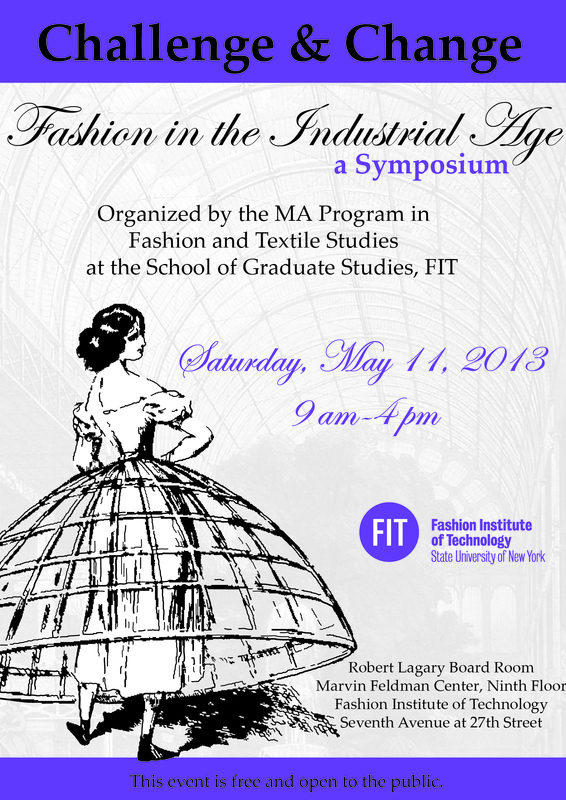 It’s almost time for the Fashion and Textile Studies annual symposium. 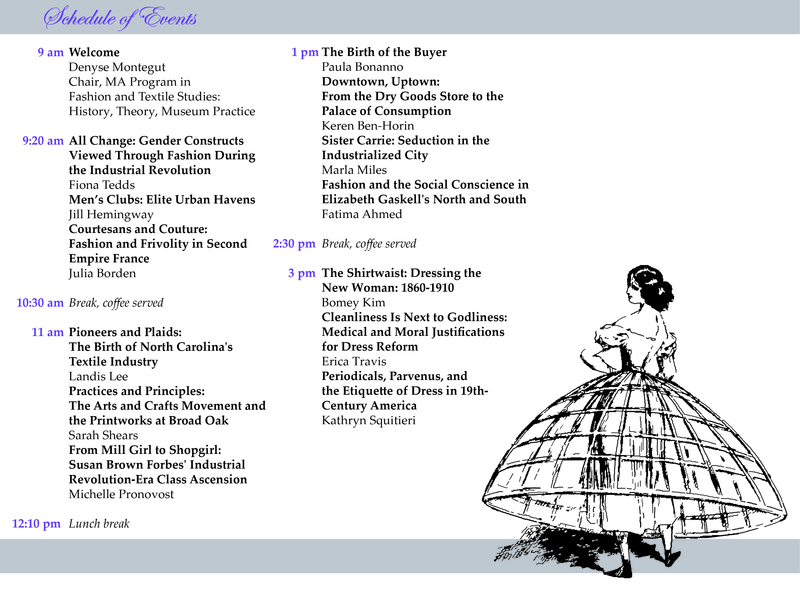 This year the relationship between fashion and the industrial revolution will be examined in thirteen fascinating papers. I will be talking about the evolution of department stores in the greatest city on earth- New York. Please join us if you can, coffee and snacks on us! thanks for the heads up, we’ll be in attendance bright and early!